This was no ordinary election. Yes, I was born in the Kennedy administration. I was too young to understand Camelot, but I’m now old enough to read the writing on the wall. I saw our nation put a man on the moon. I felt the unending frustration of Vietnam. I watched Nixon resign after Watergate. God help us, I even survived two terms of W. I’ve never felt that we were bargaining our soul before. I was at the crossroads at midnight. I know what I saw. Can a man who has openly treated women as objects, insulted people for their race, and advocated thug violence to win lead a unified country? I don’t know. “If anything was broken I’m sure it could be mended,” the song says. Let’s hope so, but let me contemplate the ghost of democracy past. It’s my right. Thinking back to our days in Edinburgh, I had a song come to mind. I could remember only a word or two, but the tune and the cadence were still there. Not a singer, nor even a hummer, the best I could do was ask my wife if she remembered the song based on the two words I could recall. Amazingly, she did. When I went to download it on iTunes, I learned that it isn’t available in the US. Probably copyright laws—these can be quite bizarre. Music has a way of staying with you and one of the songs unforgettable to those of us growing up in the ‘60s is Don McLean’s “American Pie.” In a recent Bloomberg View piece, Stephen L. Carter, a professor at Yale, laments the fact that McLean’s original notes for the song are going up for bids and, after five decades of guessing, we may finally learn what the cryptic lyrics mean. Or will we? A colleague of mine used to say, “words don’t have meanings, they have usages.” In the literary technique known as reader-response criticism, it is the reader who has the final say in what a passage “means.” An author may intend one thing, but who is the author to control the meme once it’s out? (You can see why some biblical students get upset by such things since the same thing applies, even if the author is God.) While I’m not po-mo enough to accept this completely, it has introduced an edge of caution to my reading. After all, if an author is dead (ahem) we can’t question him or her to find out what they meant. Even if they remember. “American Pie” is notable for its lyrics with religious imagery which, fairly clearly, are not really religious. Or are they? Carter laments the coming unveiling. The mystery will be gone. Don McLean, the ultimate one-hit wonder, will walk away with the goods yet again. I have no doubt that there will be analyses and hermeneutical disquisitions. The learned will claim that we finally have the answers. I’m not so sure. What if the “Father, Son, and Holy Ghost” turn out to be Buddy Holly, Big Bopper, and Richie Valens? What does that mean? 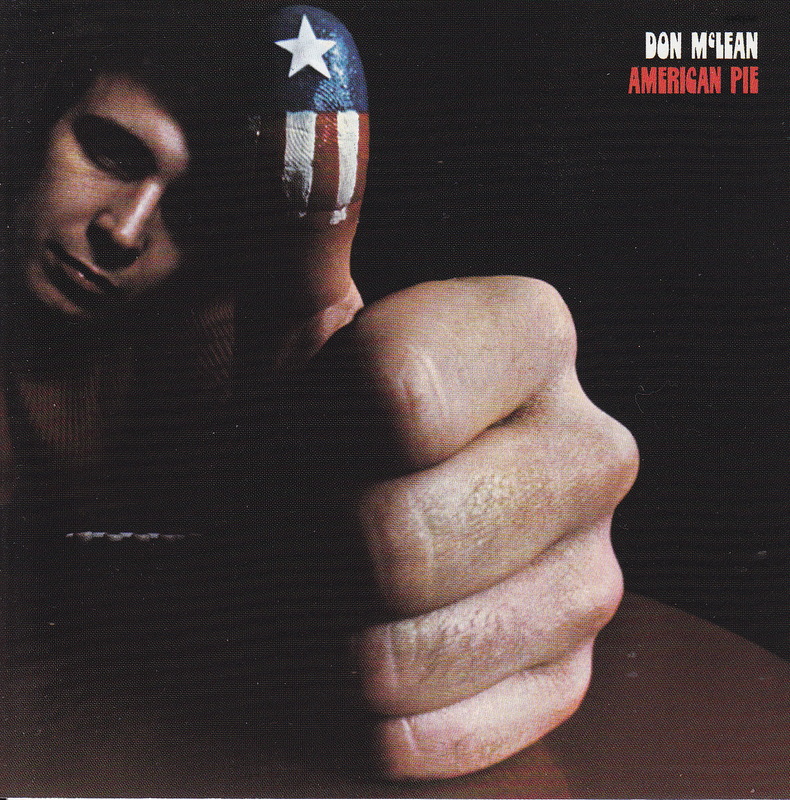 Perhaps Don McLean, like any old prophet, was merely a vehicle for a message received from elsewhere. The questions go back in an endless regression, and no answer will ever be final. We all know the song is about “the day the music died.” As the old camp song says, “music alone shall live, never to die.” And as I sit here trying to remember how a song I last heard two decades ago goes, I’m pretty sure that the camp song is right, whatever it means.